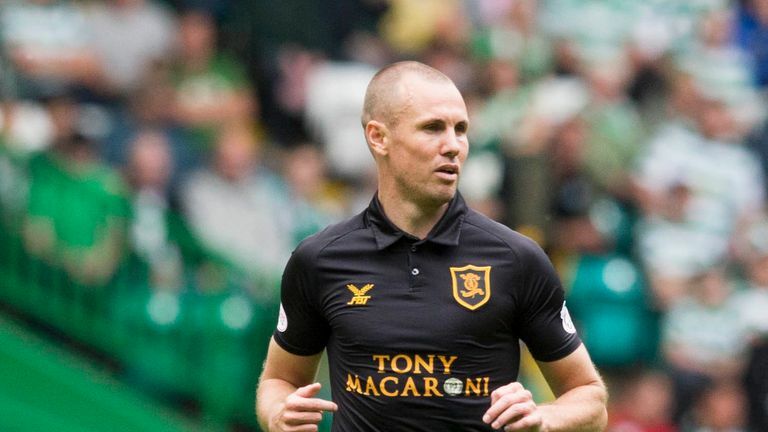 Kenny Miller has admitted he was annoyed at the termination of his player-manager role at Livingston after just seven weeks in charge. The 38-year-old striker joined the Scottish Premiership club in June but left "amicably" in August just two league games into the season. Livingston wanted Miller to solely focus on managing the newly-promoted side, but the former Scotland forward was not ready to end his playing career. "I was annoyed in the respect that I felt there was a real opportunity to do things," said Miller, who has since signed for struggling Dundee. "Despite me knowing certain things about the football club and the setup within it, it was something I was really looking forward to. "We were a decent outfit. As a manager I felt I was getting the right response from the players. I know I was." Livingston had lost to champions Celtic and drawn at home with Kilmarnock when Miller departed, with Gary Holt hired to replace him three days later. Holt went unbeaten in his first seven games in charge, but three matches since then without a win have seen Livingston fall to seventh in the table. Miller has been having a far more difficult time with Dundee, who are bottom of the table with just four points from 13 games. The former Rangers striker did score his first goal in eight appearances for the club before the international break, securing a 1-1 draw against St Mirren to end a run of five consecutive defeats.